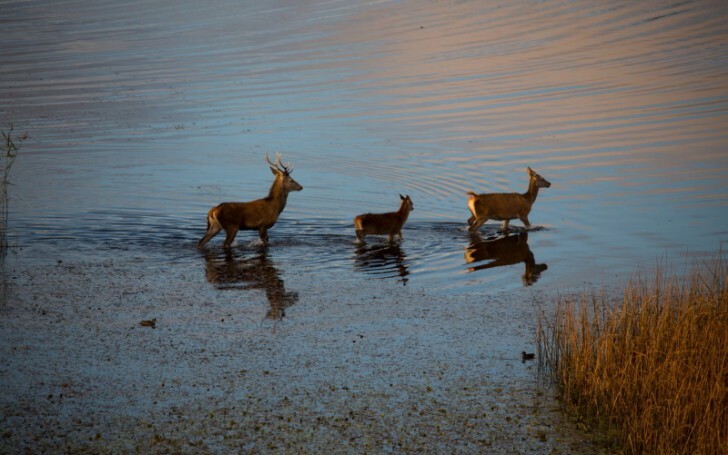 Red Deer can be found in many parts of the Ring of Kerry but the main herds can be found in the Muckross / Torc area near Killarney. Large numbers can also be easily seen in Knockreer Estate opposite the Killarney Cathedral. We like the Muckross / Torc area along with Mangerton Mountain and the Old Kenmare road, they are in a more natural environment in the lowlands but also in mountainous areas in a more natural environment. The second week in October is around the time the annual “Deer Rut” takes place and there are some great spots to observe and for photography. In 2018 Rutting season we enjoyed a spectacular showcase on the grounds of the Lake Hotel in Killarney by the Lakes of Killarney. Book your room for next year, the best time is usually around the second weekend in October.